I have a confession to make. I was on the no sulfates train for a long time. Sulfate shampoos were only used on my hair when I was clarifying or at the hair salon. And for most of that time, it worked for me. My hair looked good and felt good staying away from sulfates. I made the conscious decision to stay away from sulfates because of all the bad things I read and heard they do to your hair. And not surprisingly I experienced some of those negative effects. Especially because I was using the sulfate shampoos every week and doing two lathers with each wash.
Well, that all changed when I moved to Florida. For a long time after moving to Florida, I couldn’t figure out why my hair wasn’t looking or feeling the way it did when l lived in North Carolina and first moved. I couldn’t figure out why my hair was dry more often than not and was starting to look dull and lifeless. The only times my hair looked good was when I clarified or had a trip to the hair salon. This made me realize, maybe it’s not my hair but the shampoo I’m using on my hair. After looking into this more I came to the conclusion that hard water was making the non-sulfate shampoos less effective resulting in product build-up. Now that I knew the cause I had to find a solution. While I liked the results I got when I clarified my hair, I didn’t need to do that every week. That would at some point have the opposite effect and dry my hair out. This led me to buying a sulfate shampoo that I would alternate weekly with my non-sulfate shampoo. The sulfate shampoo I decided to use is L’Oreal Paris Advanced Haircare Total Repair 5 Restoring Shampoo. 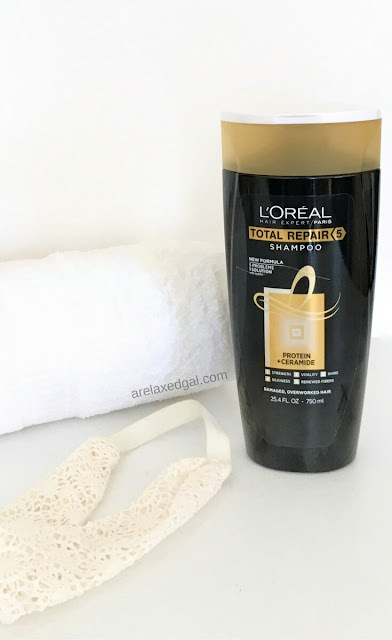 I’ve been using the L’Oreal Paris Advanced Haircare Total Repair 5 Restoring Shampoo for several months now and I really like it. I have thick, naturally coarse hair so I need to use moisturizing products to have any styling control. Because of that my key concern with using this shampoo every other week was it drying my hair out. My concerns ended up being unfounded. The L’Oreal Paris Advanced Haircare Total Repair 5 Restoring Shampoo does a great job of cleaning my hair without drying it out. I like the smell which isn’t too heavy, flowery or similar to a medicine smell. 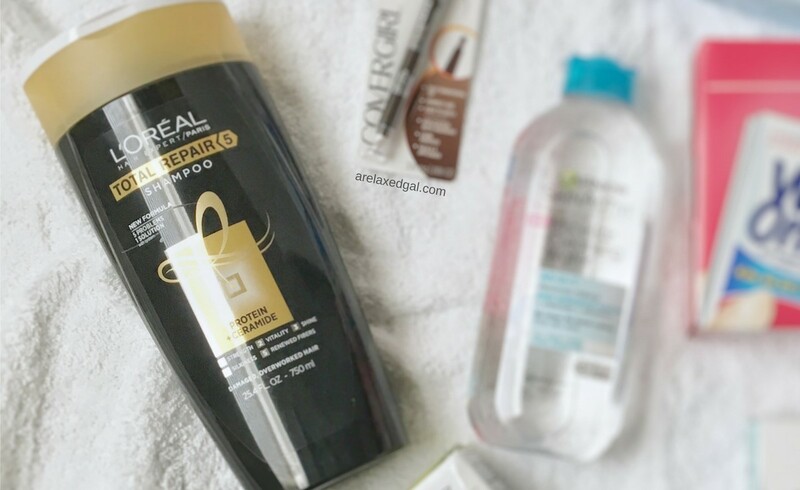 The L’Oreal Total Repair 5 Shampoo has a really pleasant scent that tends to hang around at least for a day depending on how much I use and other products I apply afterward. The consistency of the shampoo is good for applying with your hands. I’ve found that some shampoos tend to be runny which can make a mess and result of wasted shampoo. That isn’t a problem with the L’Oreal Total Repair 5 Shampoo. Also, the L’Oreal Total Repair 5 Shampoo is very cost-efficient. A little goes a long way so one bottle lasts me for months. And it doesn’t cost a lot, is often on sale, and I can usually find a coupon for $1 or $2 off. I’ve come to realize that sulfates have their place in a hair regimen and shouldn’t be completely discounted. Like me, you may need to use sulfates more often or maybe even all the time based on environmental conditions. Or using a minimal amount of sulfates may work well for your hair. Whatever the case, your hair will tell you what it needs. What type of shampoo(s) do you use on a regular basis? Sulfate or sulfate-free?